In my two part Atheist philosopher supports Intelligent Design as scientific, I introduced people to Dr. Bradley Monton, a well spoken atheist who supports ID, not because he believes it, but because he thinks that it is a legitimate scientific approach to explaining complexity. In those posts, you can listen to a really interesting interview with Monton, plus get info on ‘The great debate‘ he was involved in. 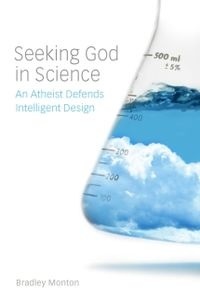 Monton has finally released his book Seeking God in Science: An Atheist Defends Intelligent Design.